The VR Developer Kit is available only from the Leap Motion web store. This setup guide will get you started in minutes. Attach the VR Developer Mount to your headset and install the latest Oculus software. Then use the free cable extender bundled with the mount to connect the controller directly to the computer. Download the Orion software and run the installer. On the General tab, check Allow Images. This allows apps to access the infrared video passthrough. 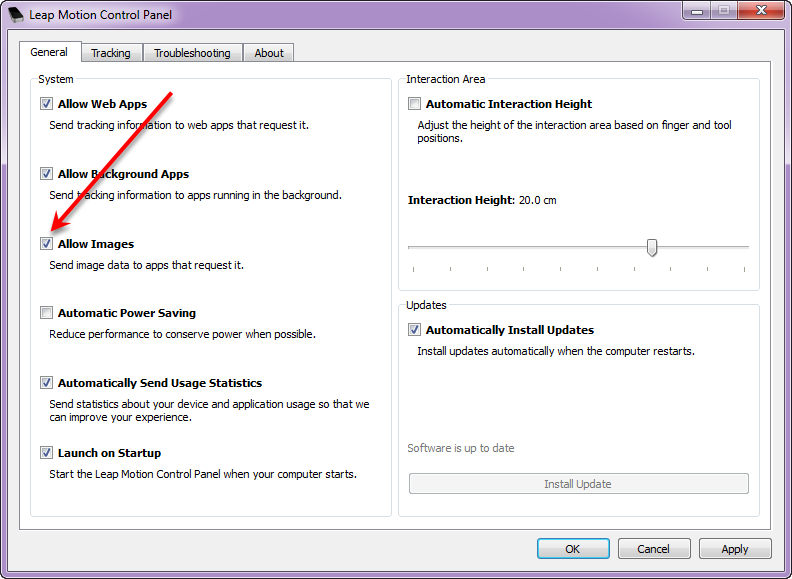 From the Oculus App Settings, you will need to enable applications from unknown sources. This makes it possible to play with demos outside of Oculus Home. Now you're ready to reach into VR! Read our VR Development Guide and start with one of these engines.